Take your therapy off the grid! 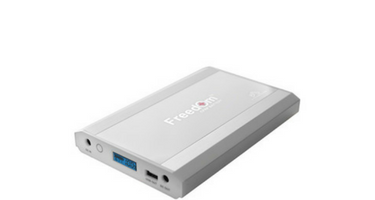 The Freedom CPAP Battery is a lightweight, portable battery kit which includes components to power many popular CPAP models. The battery meets FAA requirements for carry-on luggage, however please check with specific airlines for more information on in-flight use. Compatible with Included Components:PR System One 60 Series Machines: Tip "W"
DeVilbiss IntelliPAP Machines: Tip "J"
It is strongly recommended that users do not use a heated humidifier with this battery, as it will reduce the battery time by up to half its usual running time.